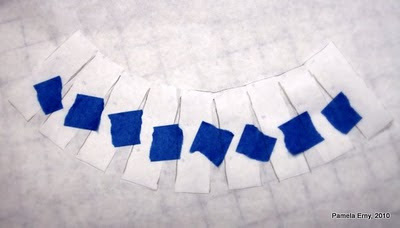 Off The Cuff ~Sewing Style~: Draft a Fast and Easy Flounce ! I made this velour tunic for my niece this morning. and the pattern already included pieces for the flounces. However, you can easily add a flounce to any pattern by drafting it yourself ! 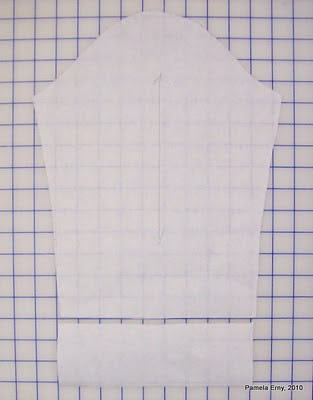 Shorten the sleeve length and add a seam allowance to it. 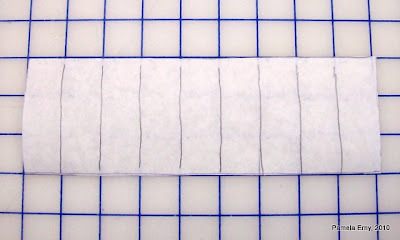 Make a rectangle and add a seam and hem allowance to it. Now trace over your newly formed flounce pattern, truing the curves as you go. Now we have a fast and easy flounce pattern...with the seam and hem allowances included...ready to add some design flair to the bottom of a sleeve ! 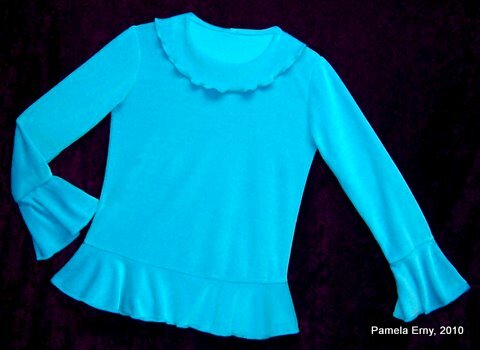 Of course, you can repeat the same steps to add a flounce to any edge, like the bodice hem in the sewn example of the velour tunic at the beginning of this tutorial. Thanks for this tute! How easy is this!!! Thank you for that tutorial. I was just wondering where you were, so am glad to see you posting. How easy and super clever! Thanks for sharing! Love the shirt you made! Thanks for the tutorial - you make things seem so easy!! Oh boy! I have something new to try! Thanks. I love the cute tunic that you made. Definitely thanks for sharing this easy and clever tutorial. Thanks for the tutorial!! I'll definitely be adding a flounce to the next shirt I make for my daughter! Thank you so much!!!! I did a flounce before and I did all the math to figure out what size circle to make and then cut out. This is SOOOOO much easier and more accurate. Hello, thank you for the great tutorial! The tunic is lovely, could you tell me from which issue of Ottobre this pattern is from? Thanks so much! My favorite skirt has a flounce and I've been wondering if I could replicate it. This is perfect! Thanks and Happy New Year! Thank you! I've always wondered how to make a flounce and you make it look so easy. I love your blog with all the wonderful information you post. Thank you so much, Pam, for showing us how to make an easy flounce. I have had fabric for a skirt sitting in my sewing room for years because it cried out for a flounce. Now I can make it. you are so generous. Pam, you are amazing!! Love this! This sounds great. I was wondering, and this may sound silly, but does the flounce pattern need to be cut on a fold or as is? Thanks. I'm a little confused- I want to add a flounce to a skirt. Shouldn't the shape of the piece end up looking more like a half circle, one for the front and one for the back of the skirt? Please help! About the flounce pattern needing to be cut on the fold of the fabric...No, Not this time...because I used the entire span of the sleeve bottom edge to draft the flounce. If I had only used 1/2 the span to draft the flounce, then yes I would have to cut it on the fold of the fabric. I found you on the Seamingly poll. I JUST posted about getting over my fear of flounces last nite and found this post today. Now that I'm totally over my fear I am completely psyched to try your method. You sure make it look easy! Oh thank you thank you!! I feel dumb saying this but I've tried and tried to think of a way to easily do this for at least a YEAR! I can't wait to try this. This is so simple, so elegant that it takes my breath away. The picture of the spread "inchee" reminds me of calculus book graphics - making an equation to approximate a curve based on a straight line. Now I want to add a flounce or 2 to a few skirts and sleeves. Thank you for sharing this. You're brilliant! Thanks so much!! Fab! I am going to try this right now. Thanks for the tute! OMG!!! How easy you make finding the inner circle of a flounce. I have been struggling all weekend with this. Thank you so much!!!! That is so clever - I was puzzling how to work out the length of the curve - glad I waited till tomorrow before starting! I truly appreciate your comments, Thank-you!